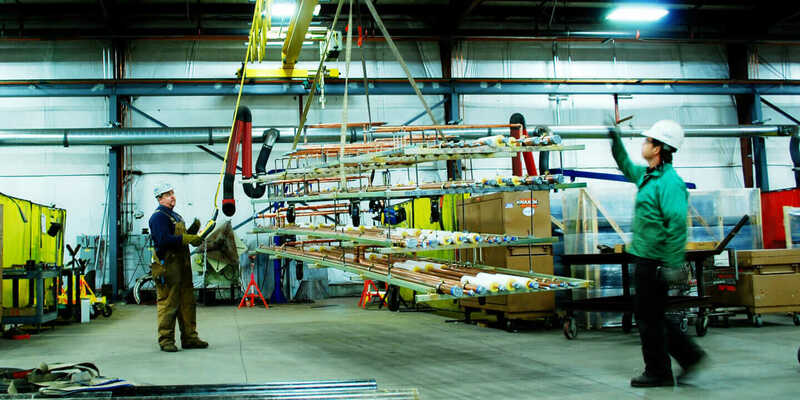 Multi-trade piping racks produced at Cannistraro’s manufacturing facility. Courtesy Cannistraro. Architects and general contractors don’t always involve subcontractors in early phases of design and preconstruction. But if they want to prevent time and money from trickling down the drain, they should. J.C. Cannistraro—founded by John Cannistraro, Sr.—started as a plumbing business more than 50 years ago; now a mechanical construction firm with 500 employees, it specializes in HVAC, plumbing, sheet metal, and fire protection, with an emphasis on prefabrication. Material management, cost, and labor are crucial parts of Cannistraro’s success and risk mitigation on a project, and BIM-driven methods of prefabrication and modular preassembly are two good ways to manage those factors effectively. Autodesk Navisworks model of a modular mechanical penthouse prefabricated off-site at J.C. Cannistraro’s manufacturing facility and installed as a single rooftop unit. Courtesy J.C. Cannistraro. Pipe racks are another example. “We’re designing them for nearly all our projects, and there’s no reason that electrical contractors can’t mount their conduit and wiring to the same system,” he says. Early communication can also lead to fruitful synergies in construction and pre-construction processes. In 2010, Michael Cannistraro published a Case Study on the Value of BIM using historical data derived from $500 million worth of projects over six years. During the same project, Cannistraro’s team worked with specialist subcontractors to coordinate delivery times and exact delivery paths when installing eight giant air-handling units. In that crowded construction zone, frequent communication made a big difference and contributed to the hospital’s mechanical room being delivered months ahead of schedule. 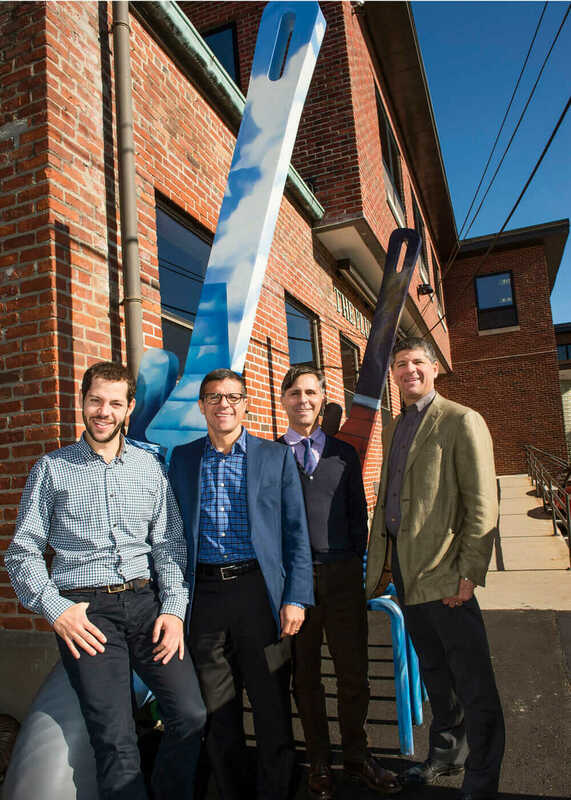 All in the family: principal owners of J.C. Cannistraro (from left to right: Michael Cannistraro, Joe Cannistraro, John Cannistraro, and David Cannistraro). Courtesy J.C. Cannistraro. 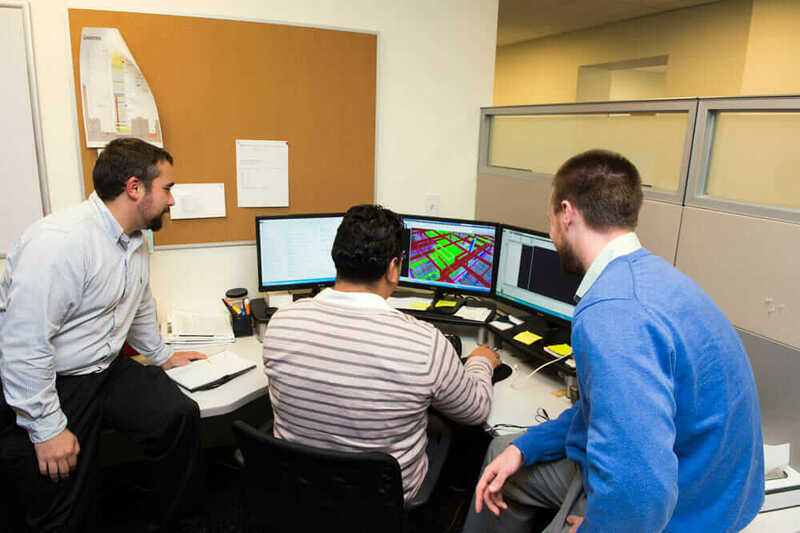 J.C. Cannistraro’s VDC Group (Virtual Design & Construction) serves as gatekeepers for all models and coordination files across the company’s four mechanical disciplines. Courtesy J.C. Cannistraro. Evolving clash-detection methods illustrate that point. 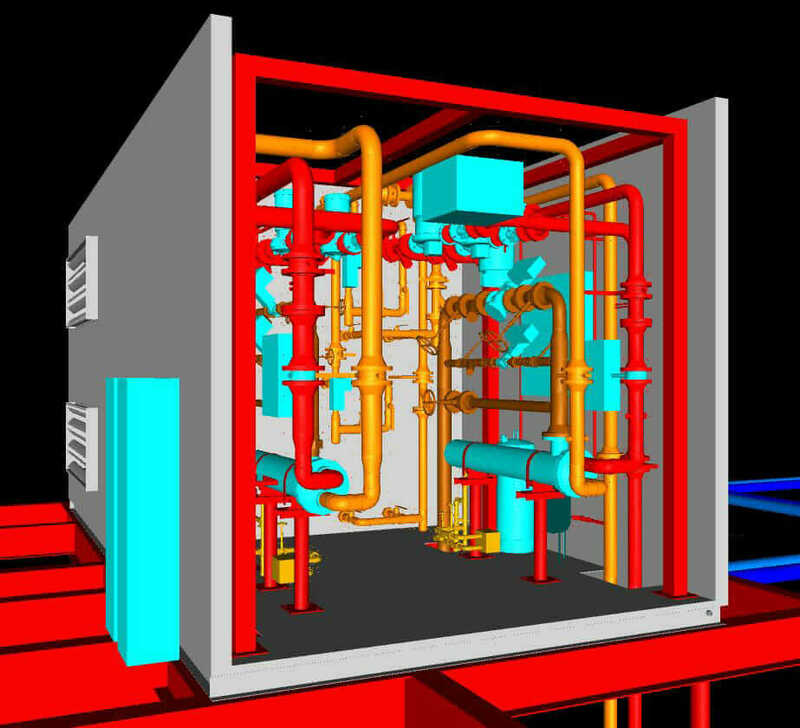 The firm’s VDC (virtual design and construction) team has used BIM from early on to detect and eliminate clashes among its HVAC, plumbing, sheet-metal, and fire-protection design teams, and that’s one of the reasons the firm’s early investment in BIM paid off. “Now, if we’re able to get involved early enough, we can extend that expertise to more of a given project and make a really big difference during construction—it’s a smooth process, and many more problems are caught during the design phase,” Cannistraro says.